After navigating a tricky early period, Sir Alex Ferguson often appeared to have everything under measured control at Manchester United, with squad rebuilding seemingly a fluid and effortless transition, allowing the club to dominate English football over a sustained period of time. 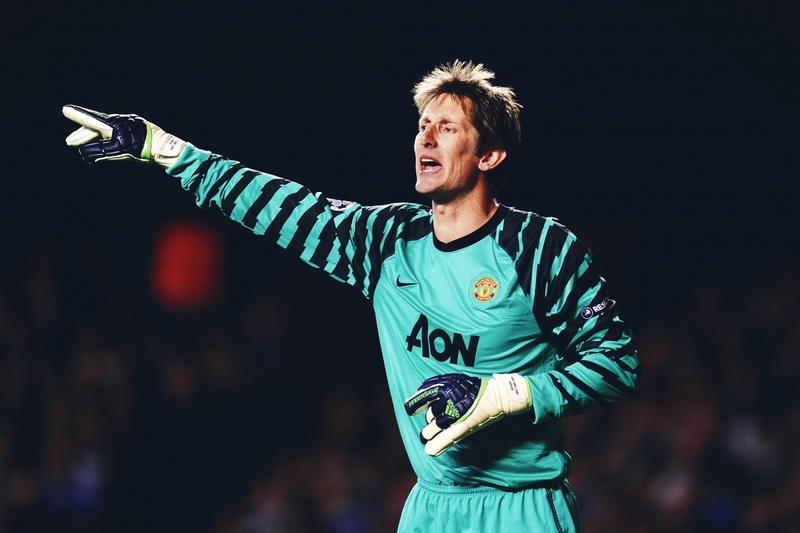 Despite that, the period post-Peter Schmeichel, when multiple goalkeepers were brought in to replace the great Dane, was as tumultuous as it got, until Edwin van der Sar arrived in 2005 and reclaimed the longing greatness between the sticks at Old Trafford. Ferguson had targeted the former Ajax stopper around the time of Schmeichel’s departure, but chariman Martin Edwards already had an agreement with Aston Villa’s Mark Bosnich, largely regarded as one of the best goalkeepers in the Premiership at the time. Bosnich’s career at Old Trafford was a disaster, with Sir Alex later citing the Australian as a “terrible professional” in his autobiography. Bosnich should have been the beginning and the end of the circus that was replacing the Danish international. In 2000 the Red Devils signed the eccentric, bald figure of Fabien Barthez from AS Monaco. 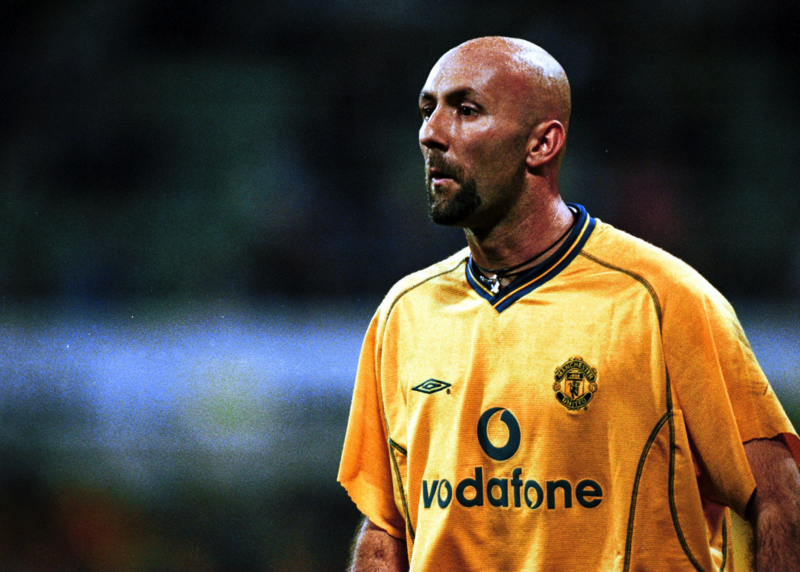 The arrival of Barthez effectively ended the United career of the Australian, who moved on to Chelsea and Class A drugs as his life continued on a downward spiral. Barthez’s arrival caught the headlines in May 2000 and was finalised just weeks before the Frenchman added a European Championship winners’ medal to his already abundantly stocked trophy cabinet. The new number one was a blockbuster of a signing. The France international was the undisputed first choice for his dominant nation and a key figure in a brilliant generation of Les Blues talent. He had all the makings of a potential United great. Below the surface, however, there were already troubling signs before the ‘keeper arrived in England. Barthez, ever the headline grabber, was suspended for two months in 1996 after testing positive for cannabis. His place in the France team was taken by Bernard Lama, who ended up being suspended for the same offence a year later. With both French custodians in disgrace, the jersey was given back to Barthez upon his return and he wouldn’t relinquish it for a decade. Fabien Barthez began his Manchester United career as an international star and widely considered one of the world’s best goalkeepers. The new number one was rewarded with a six-year-deal at the age of 28, arriving from Monaco for a British record fee for a goalkeeper of £7.8m, with years of service at his best surely ahead of him. Sir Alex Ferguson was clearly delighted with his new signing and what he believed to be the resolution to a major issue within his team. The Scotsman made it clear that personality and presence were vital in replacing his former custodian, something that he believed both Massimo Taibi and Bosnich lacked. If composure and security were also traits that Ferguson yearned for, Barthez would prove equally incapable. Barthez, nicknamed Le Divin Chauve – The Divine Bald One – arrived at the Theatre of Dreams with numerous domestic accolades. 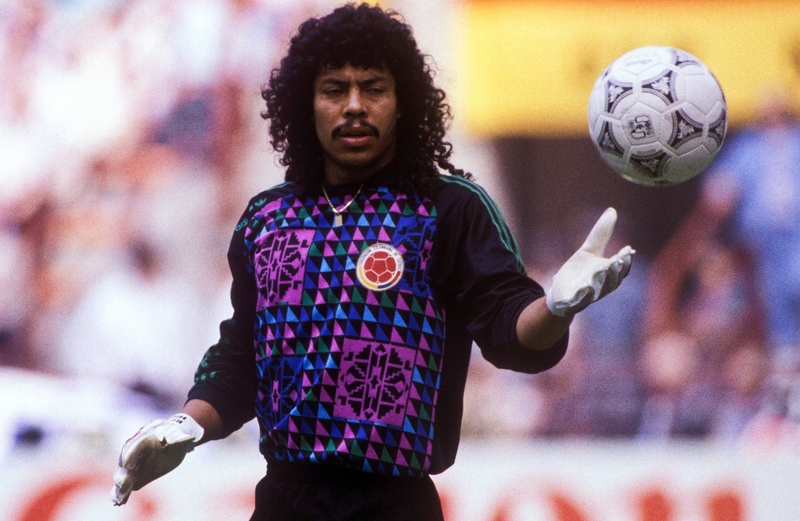 In 1993, he became the youngest goalkeeper – aged just 21 at the time – to lift the Champions League at the time, securing the double in a brilliant but controversial Marseille team. A clean sheet in the final against AC Milan capped off a sensational season for the youngster. Marseille were later stripped of their Ligue 1 title amid a match-fixing scandal that led to relegation and the disbanding of what was one of Europe’s most talented sides. Despite numerous approaches from elite French and European clubs, Barthez remained loyal to Marseille and helped guide his side to another title and promotion back to the top flight. In 1995 he moved to Monaco, where he won the league title in both 1997 and 2000, before leaving for the bright lights of Manchester. By this point in his career, he had won two Ligue 1 titles, the Champions League, the World Cup and the European Championship. His pedigree was unquestionable. His debut season in the Premier League was a huge success, helping his new club to the title, their third in a row. Barthez became a crowd favourite with his elaborate performances that conjured up some sensational last-ditch saves, with a spoonful of unconventionality for added flavour. There were numerous incidents that introduced his eccentricity to his adoring public, with stepovers becoming a regular pastime for the Frenchman. The English game had rarely witnessed such brazen goalkeeping before, and it had the entire public hooked, not least his manager at the Stretford End. Bursting with confidence, United’s last line of defence was more than happy with the ball at his feet, taunting and tormenting strikers. A goalkeeper’s ability with his feet is a modern necessity and often makes the headlines. It has taken many years since the back-pass was deemed illegal for the position to demand the attributes that it does today. While Ederson of Manchester City and Manuel Neuer of Bayern Munich are arguably the most comfortable with the ball on the floor today, Barthez was doing the same, just 15 years earlier. The Frenchman was adamant that he belonged on the pitch, often claiming that he was better outfield than he was between the posts. He would regularly quench his thirst in Friday morning sessions when the squad relaxed in preparation for the following day’s fixture and also played outfield in a friendly under Sir Alex. Ultimately, Barthez enjoyed the risk of being a goalkeeper. He thrived on the fine line between brilliance and disaster. The Premier League had seen controversial goalkeepers before, not least Bruce Grobbelaar, but few like the Frenchman. On his day, he was one of the greatest practitioners of his profession, but when his radar was slightly askew, he was impossible to predict. Whilst his first season saw him answer any doubts surrounding his arrival, there were moments of madness to come. The most notable stain on his impressive first campaign came in the FA Cup fourth round defeat to West Ham. The defining moment saw Paolo Di Canio break the offside trap before finding himself one on one with the French stopper. Bizarrely, Barthez stood still, arms aloft, in an attempt to fool the Italian into thinking he was offside. Di Canio slotted the ball into the back of the net, happy to settle the offside debate later. The result saw United crash out of the competition, with the World Cup-winning goalkeeper waking up to a barrage of ridicule in the morning papers. Another bizarre incident occurred in March, when Barthez kicked out at Leeds’ Ian Harte after dropping Robbie Keane’s cross. The left-back fell to the ground in the six-yard box and the referee rightly awarded a penalty. Maybe, on reflection, Barthez arriving 15 years too early was a good thing; such behaviour would certainly have resulted in a red card today. The flamboyant Frenchman remained on the field to face the penalty and produced a fine save to deny the previously felled Harte. In three minutes, the magic and madness of Barthez had come to the fore. 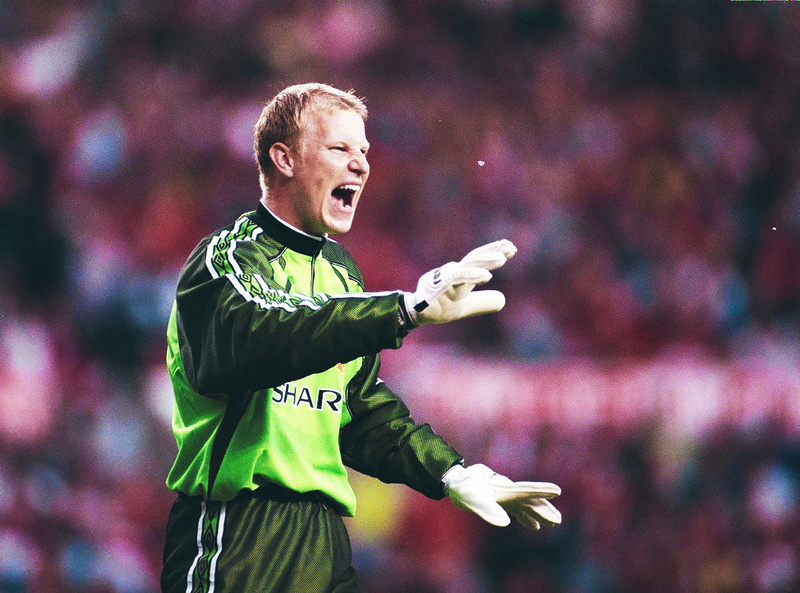 Penalties became the unorthodox stopper’s stage. Barthez’s game was well suited to facing spot kicks, his acrobatic, instinctive style making him difficult to beat. His theatrics and mind games on the line also drew a great deal of attention. The bald figure would regularly stand in front of one post or walk between the two kicking the turf off of his boots. It often worked well as Barthez encouraged the penalty taker to aim at the opposite corner before springing across to save. Steed Malbranque and Muzzy Izzet both fell foul to the comical genius of Barthez. Extroverted and outgoing, much like his father, a rugby player in France, the honeymoon period came to an abrupt end in Manchester in 2001/02, a season littered with high-profile mistakes that inflicted tragicomic mayhem on his side. Barthez suffered heavily with second season syndrome as opposing attackers were now aware of his risky exhibitionism and began taking their own chances to press and harry. Infamous mistakes against Deportivo and Arsenal cast huge doubts over the future of the man from Lavelanet, with Thierry Henry – the man who persuaded Barthez to join English football – profiting from two calamitous errors in a 3-1 defeat of Ferguson’s men. The first came from a poor clearance that fell straight to the clinical striker, who duly converted the chance. The second saw Barthez slide to cover a through ball that inexcusably slid under his body and straight to the feet of the ruthless Henry. The controversy didn’t end there as the already carded Frenchman raised his middle finger to the Arsenal fans that had been tormenting him for his mistakes. Missed by the referee, the stopper was afforded a stay of execution for the final minutes, receiving even more abuse from the fans – which ultimately proved nothing compared to what the papers had in store for him the next day. Barthez was publicly backed by his manager, who stuck by his number one for the rest of the season, despite a number of other errors, including being beaten for strength and speed by Michael Owen in a decision that would signal the beginning of the end of his reign between the Old Trafford posts. Despite his errors, Barthez showed admirable resolve to improve his game and find more consistency as the season wore on, still producing sublime saves on a more regular basis than calamity. The 2002/03 season also produced a mixed bag for the heir to Schmeichel’s thrown, with yet more errors and a more great saves. Barthez’s last game for United turned out to be the dramatic defeat to Real Madrid at Old Trafford in the Champions League. Ronaldo scored a hat-trick and the man between the sticks received his now-customary criticism for the first, which beat him at his near post. Beyond the media criticism and the losing of the fans’ trust, Ferguson’s patience had finally run out. The Scott was furious with the Frenchman’s high-profile errors and Roy Carroll replaced him for the final games of the season. It was the end of Barthez’s time in the Premier League. The search for Schmeichel’s replacement restarted in earnest, one that was meant to have ended with Barthez but would take another two years to finally reach its conclusion, with Tim Howards trying and failing to secure the gloves. 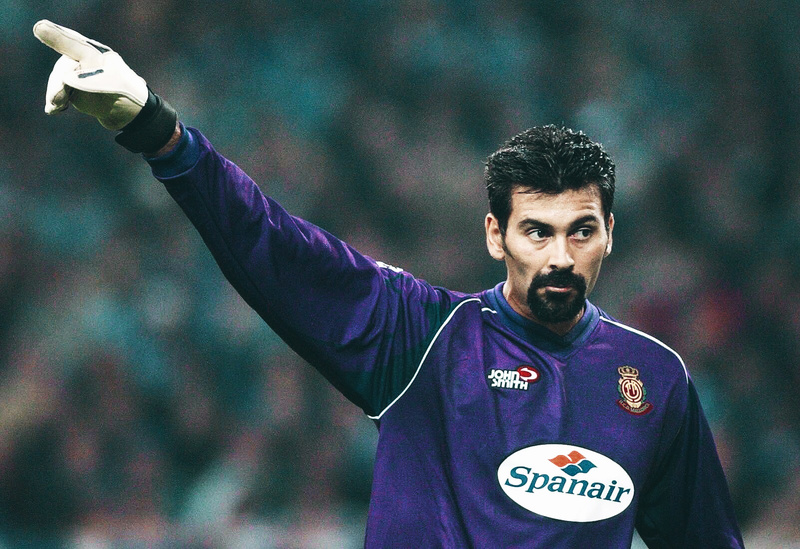 It seems a lifetime ago that United encountered these problems in goal, with Van der Sar and his replacement, David De Gea, putting the ghosts of Raimond van der Gouw, Nick Culkin, Bosnich, Taibi and Barthez to rest. Barthez returned to Marseille and controversy followed him back to the south of France. Spitting at a Moroccan referee eventually landed Barthez a six-month ban and all but ended his return to the Stade Véldorome. Desperate for a move to Toulouse to be close to his sick mother, Barthez reluctantly retired before agreeing a deal with Nantes just months later. Just four months into his time at Nantes, an altercation with a fan left the troublesome goalkeeper fleeing the city with his contract terminated by the club. Barthez later enjoyed a successful career in motorsport, winning the French GT Championship in 2013 and finishing 29th in the 2014 Le Mans. It would appear that the adrenaline junkie within the bald figure of eccentricity would find his fix elsewhere, outside of football, to great success. Regardless of his high-profile errors and ultimate ridicule, many Manchester United fans still hold fond memories of the little Frenchman that plagued Premier League strikers with mind games and nutmegs. Purchased as the solution to a problem, Barthez arguably created more issues than he solved, but amid the madness and the controversy, there was a world-class goalkeeper stacked with agility, tremendous reflexes and a career that deserves to be remembered in equal parts for his comedy and spectacular talent.